An inspirational story of how award winning garden designer Lee Bestall developed his passion for gardening, and how this lead to a main avenue garden at the worlds best flower show. A positive and inspiring story which would be suited to school leavers, career changers, university students and social gardening groups. explore the beautiful gardens of Renishaw Hall in Derbyshire, family home of the Sitwells, through the eyes of a garden designer. This trip back in time begins with the original layout of the gardens, and brings us up to date with the recent replanting of the Ballroom Garden. This can be held at either the gardens and would involve a tour, or can be presented at your chosen location. Please note, this is not a plant talk, or history lesson – both of which can be booked with the Hall, but an interesting and informative presentation based around design, layout, development and key features. This presentation would suit aspiring designers, students, guests who have toured Renishaw in the past with a guide or head gardener and social gardening groups. Around 50% of people own a north facing house, and even those with a south facing plot will have areas which don’t receive much sun. In this informative talk, Lee explains why shade is so important for many plants, and how to create a beautiful shady garden. 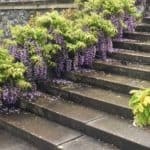 “Shady gardens have such a wonderfully atmospheric feel, and in this talk we’ll be exploring plants which can create dappled shade, as well as plants which will thrive in it”. Best suited to horticulture college students, hobby gardeners and social gardening groups. Made famous by Vita Sackville-West, the white garden at Sissinghurst Castle is much admired, and often a request when redesigning modern gardens. White flowers look wonderful when displayed against a dark green foliage, or in low light levels, and it is the white Hydrangea specifically which inspired this talk. Lee will explore design and planting ideas associated with monochromatic schemes and how to make an impact with limited colour. Best suited to hobby gardeners and social gardening groups. Since the introduction of the plastic plant pot, we are able to plant up our gardens all year round, and this has lead to a change in the way we design and plant our gardens. Planting design (as we know it now) began in the early 1900’s, but how has this developed, and what can we expect to see in the future? a story about the design and development of a show garden at the worlds’ most prestigious flower show. From planning to pulling in the crowds, Lee shares the challenges and rewards of creating a Chelsea garden. Are you afraid of using colour in the garden? Or, are you guilty of using too much? Blending colour in the garden can be a daunting task, but by following a few simple colour rules, you will slowly build your confidence and be able to experiment with colour in a whole new way. Lee will use cut flowers to demonstrate how blending a variety of colours and flower shapes can achieve striking effects. Best suited to hobby gardeners and social gardening groups. Ok, so maybe the reality is that don’t have room for a shed, never mind a folly, but in this talk we’ll explore the vistas and focal points in gardens small and large, and look at where the idea of the focal point came from and how it’s stood the test of time. We’ll include sculpture, key plants and a range of other garden accessories which could be used. Whether you’re a ‘slash and burn’ kind of gardener, or you fall to pieces when faced with secateurs, this talk is great for those too scared to snip! We’ll begin with pruning basics, tool care and sharpening, plus selecting the right secateurs for the job. We’ll look at the different pruning groups and talk through the most popular pruning and training techniques. Covers fruit, flowers and foliage (including Box & topiary). Best suited to hobby gardeners and social gardening groups. We supply the plants, you supply the Prosecco! 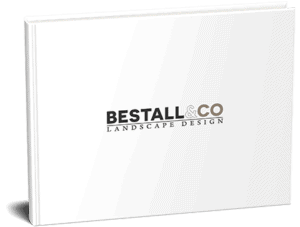 An entertaining hour long talk with award winning Chelsea Designer Lee Bestall. Lee begins with a potted history ‘from childhood to Chelsea’ before creating a selection of seasonal displays including a stunning hand tied bouquet. Ideal to run as a charity fund raising event or other social group. This talk can be carried out with a small group or on an individual basis in your vegetable garden at home. A 2-3 hour ‘introduction to vegetable growing’, where we discuss crop rotation and the planning of what to sow, how to sow it and when to harvest. Explores the essentials plus what to do to ensure you don’t end up with a kitchen full of kale! Perfect for those who have just inherited or created a new vegetable garden. There’s nothing more natural than sharing a meal with friends and family at Christmas, so why not dress the table for the event. At home Lee prepares the ‘winter table’ in late November, and it takes on a couple of different looks throughout the festive period, building to the perfect backdrop for the big day. Complete with candles and natural decorations found from the garden, this table will delight your guests and fill your room with festive cheer. Best suited to hobby gardeners, those with an interest in home décor/ interiors and social gardening groups. Unless otherwise stated, talks will last around 1 hour, with an opportunity to ask questions at the end. The events require a minimum of 10 guests. Invitations can be supplied on request. All talks are charged for as listed, plus expenses including travel at 45p per mile. Lee’s presenting style is very informal, chatty and energetic. He blends humour with education and entertainment.